Global HealthLink, Apr-May 2007 | Irene Abdou Photography, LLC - Travel. Lifestyle. Documentary. NGOs, Development & Public Health. 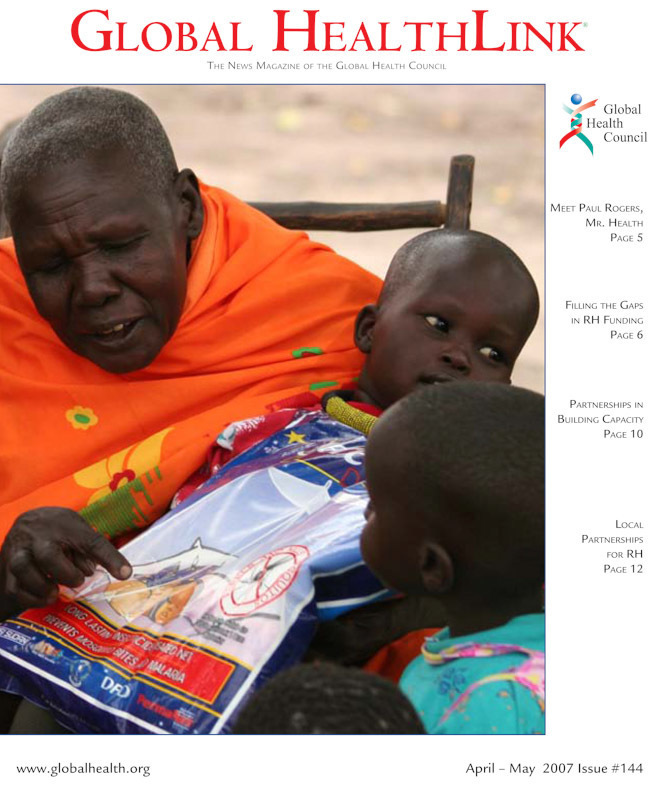 Cover Photo, photograph of South Sudan, Global HealthLink Magazine, April-May 2007 Issue The photo depicts a grandmother talking to her grandchildren about malaria and how it can be easily prevented by sleeping under a long lasting insecticide treated mosquito net every night. The mosquito net shown was distributed by the international non-profit organization, Population Services International, and was part of an advertising campaign conducted by PSI for the Serena brand of mosquito nets.